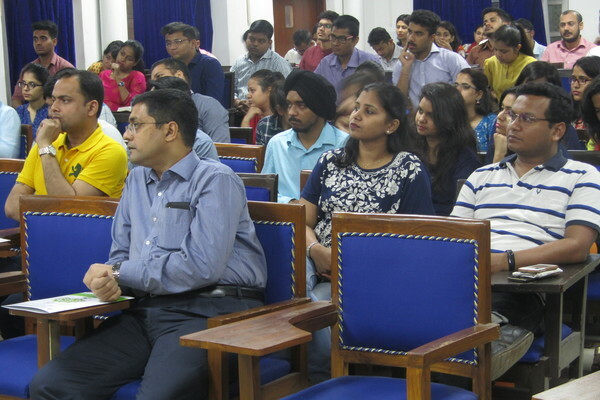 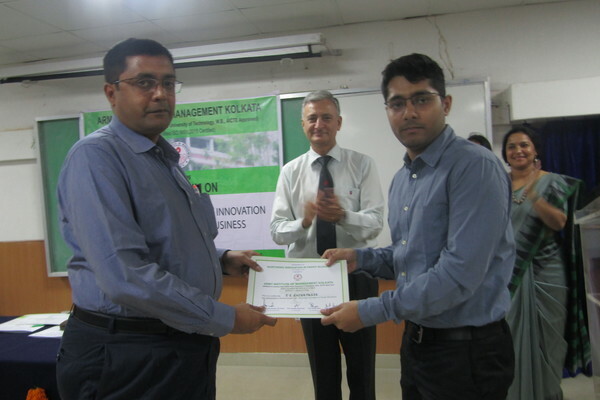 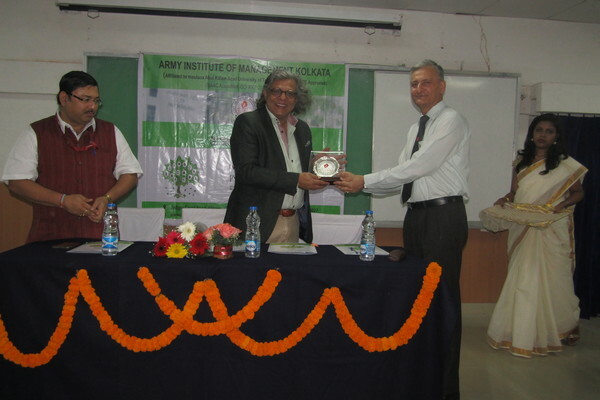 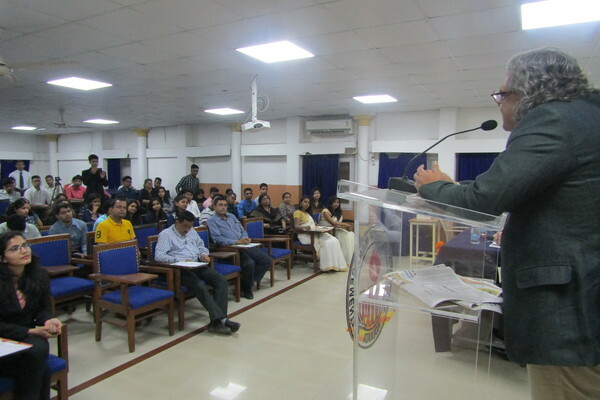 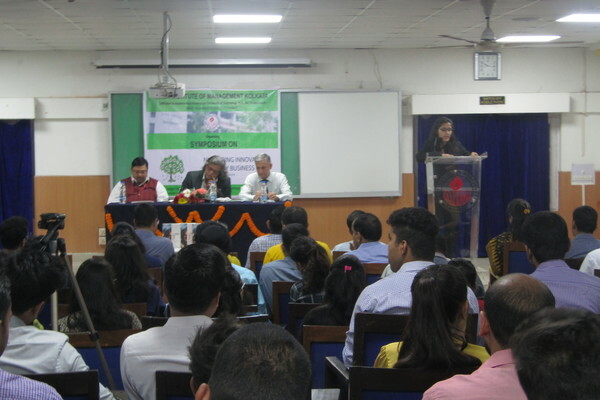 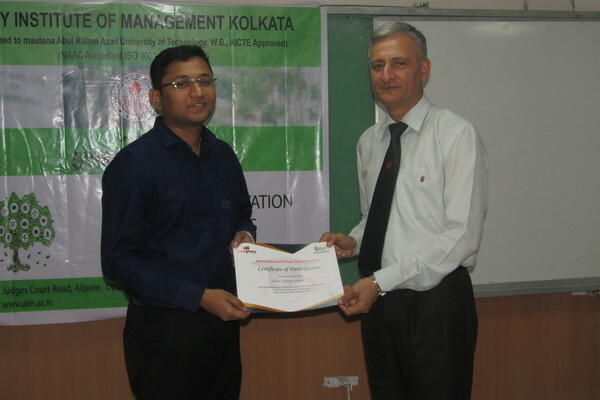 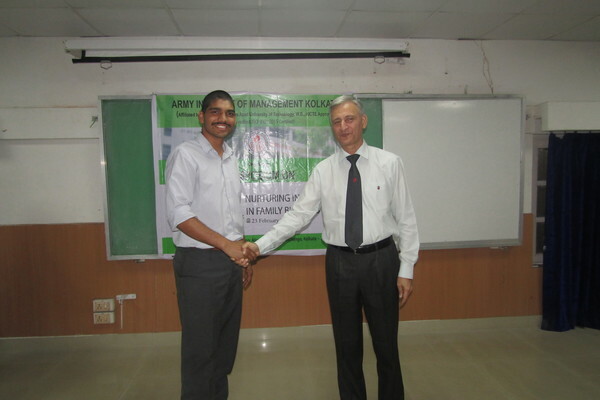 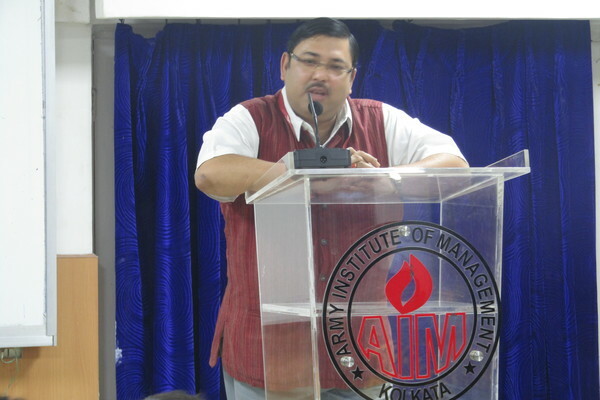 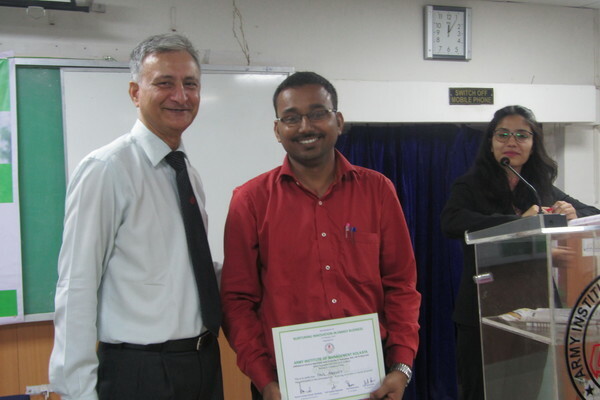 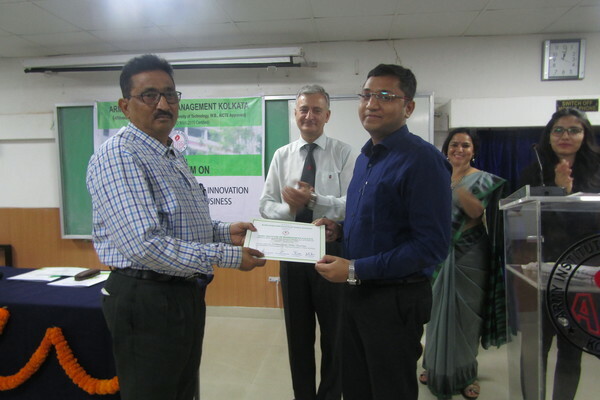 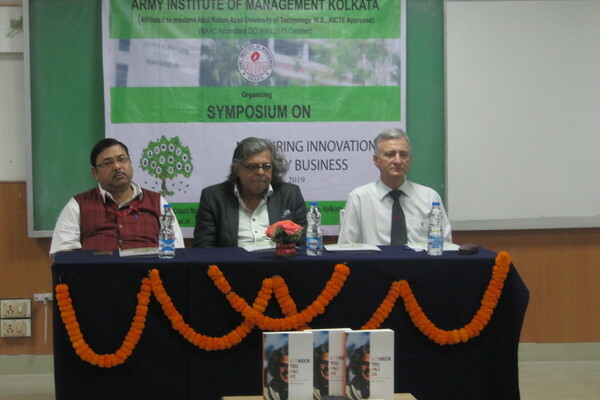 Army Institute Of Management, Kolkata organized a Symposium on the occasion of E-Day on 23rd Feb 2019. 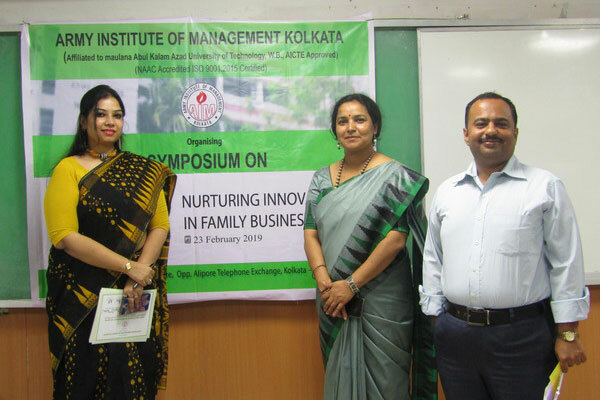 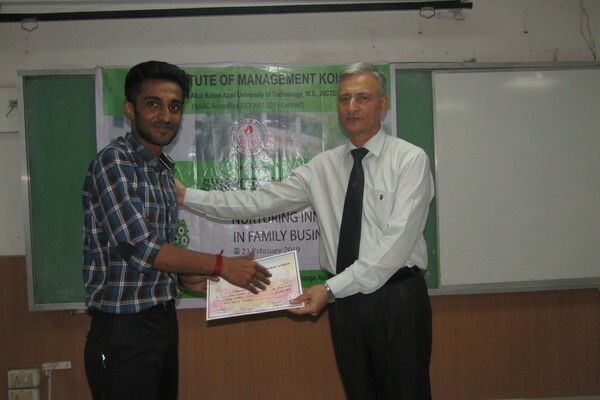 The theme for the symposium was “Nurturing Innovations in Family Business”. 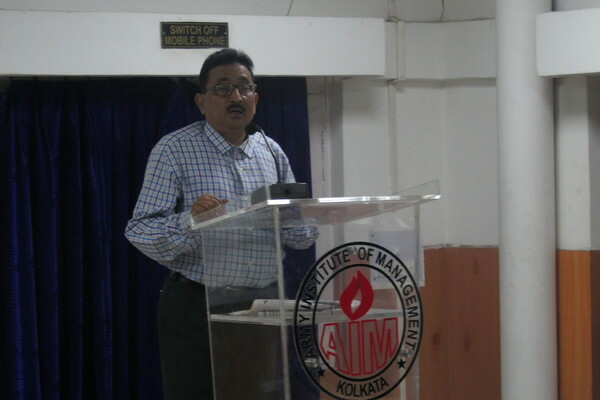 The programme started with the Welcome address by Prof Sougata Majumder followed by the Inaugural speech by Director Sir. 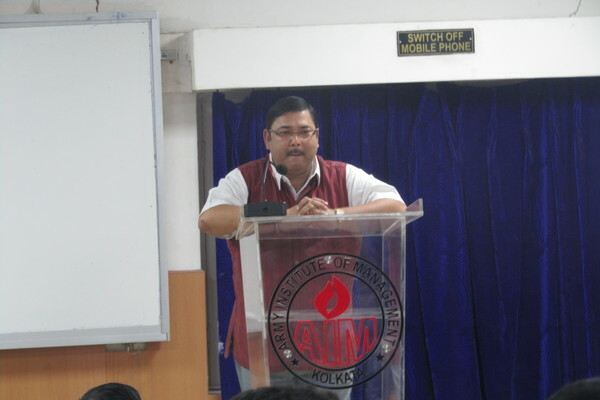 The Guest of Honour for the event Mr. Subhabrata Bhattacharjee, Regional Manager, Wadhwani Foundation addressed the gathering. 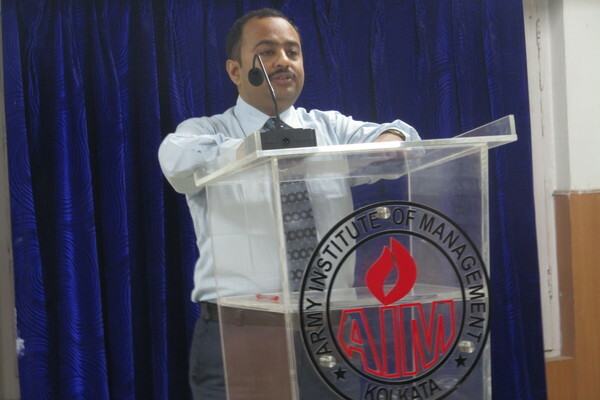 Mr. Atul Khanna, Director & Founder, Tooltech Global Engineering Pvt. 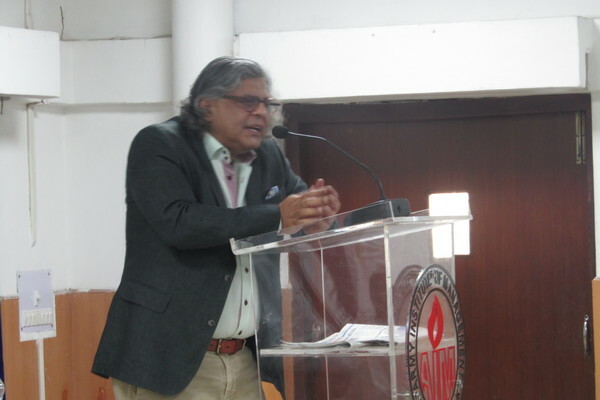 Ltd was the Keynote speaker for the symposium who spoke about the challenges of becoming an entrepreneur. 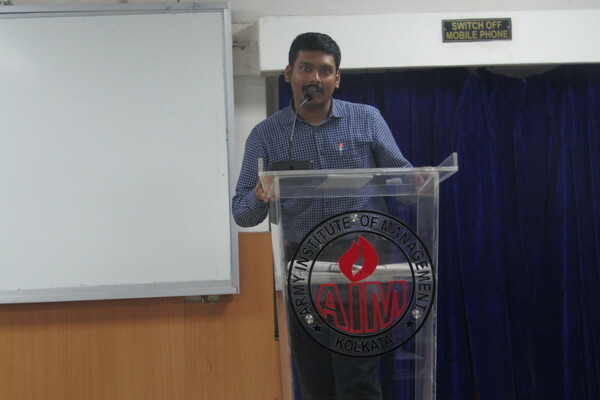 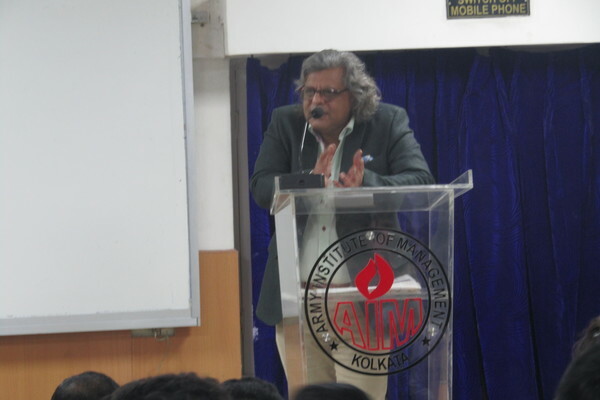 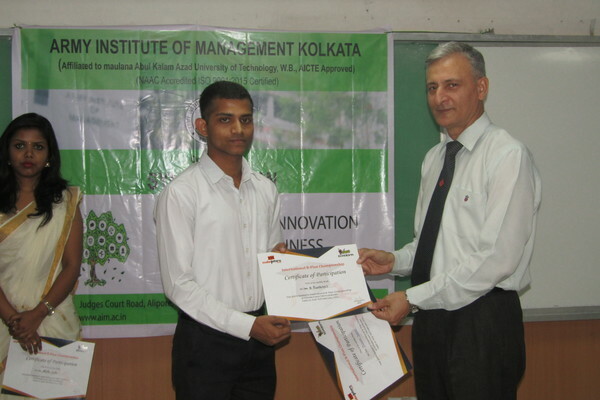 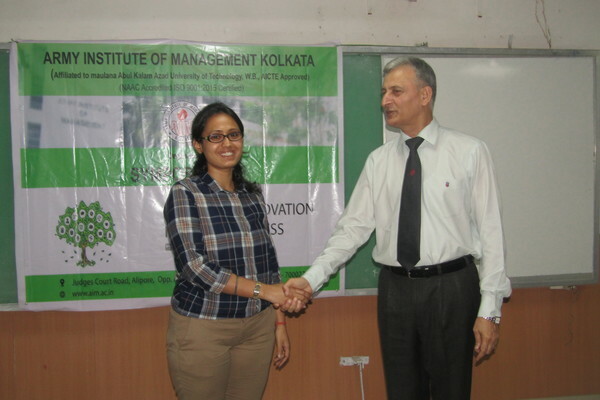 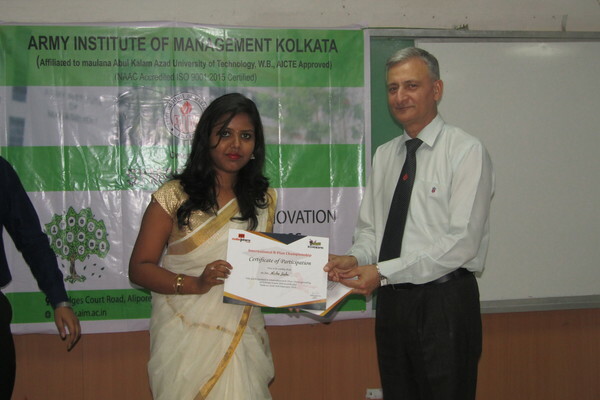 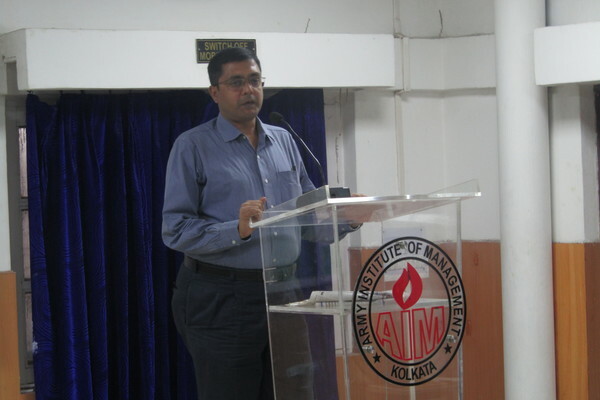 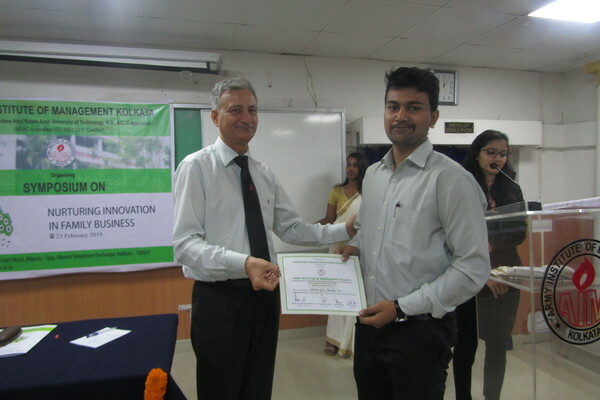 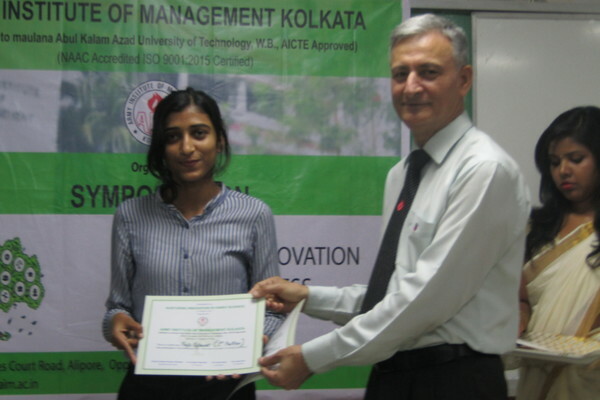 Prof. Asmits Basu gave a brief report on Entrepreneurial initiatives of AIMK so far. 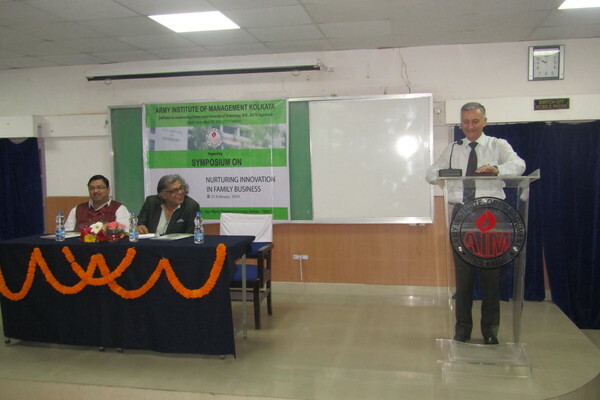 Delegates running family business were invited on the dais to share their experiences. 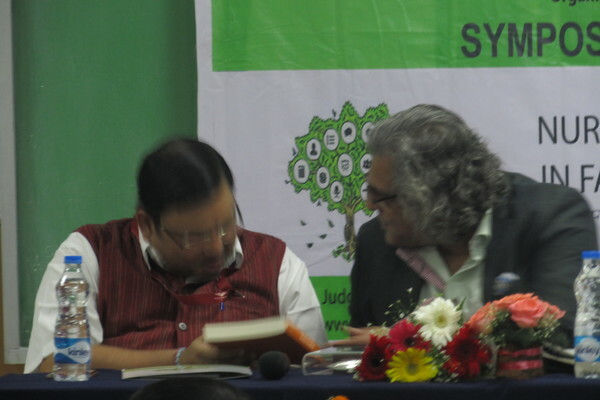 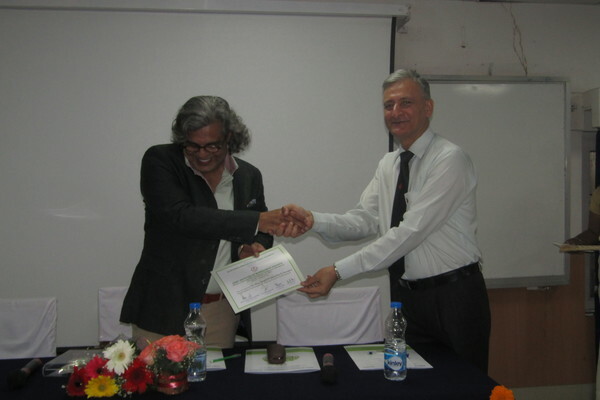 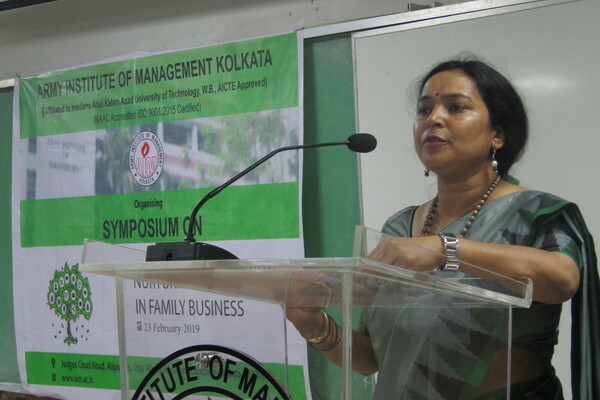 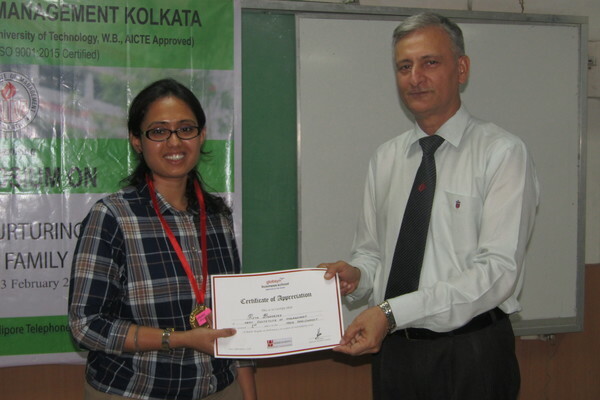 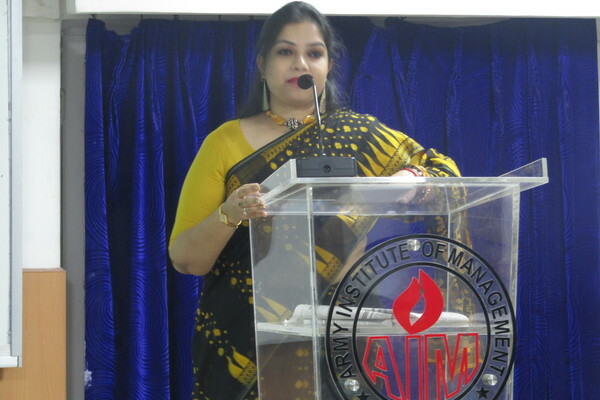 The symposium was concluded with the Valedictory note give by Dr. Shweta Rani. 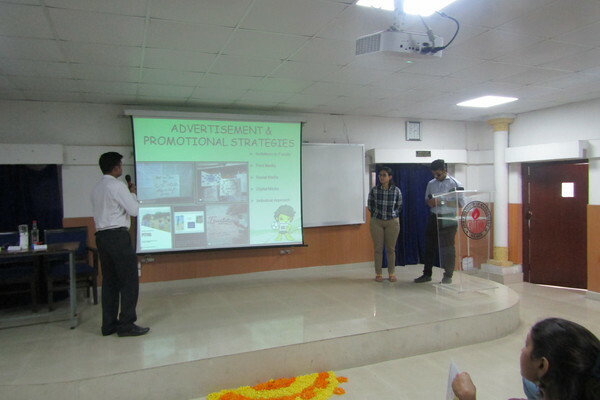 The second half of the day was dedicated to Udaymita which was an entrepreneurial game. 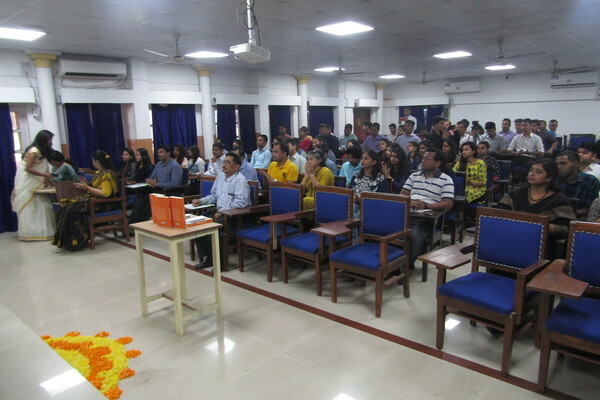 The game was held for a week long where students were required to come up with entrepreneurial ideas. 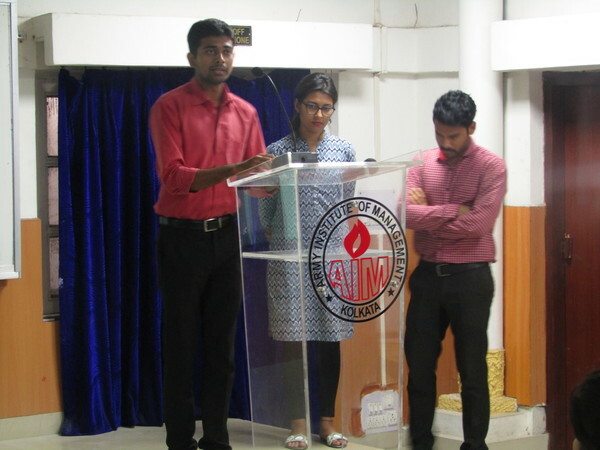 They were supposed to come up with an innovative product and sell it to the AIMK faculty and students for a week. 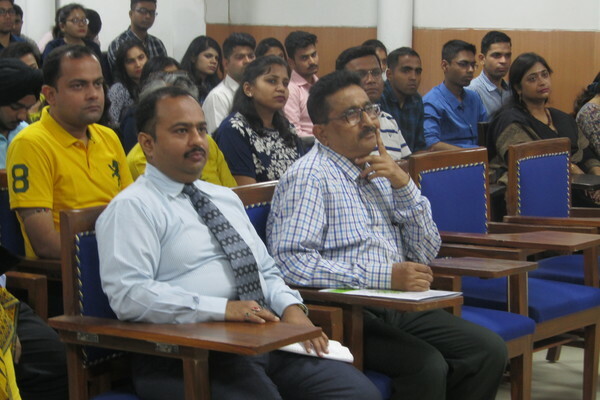 The week starting from 16-february-2019 till 21-february-2019 was dedicated to Entrepreneurship related activity. 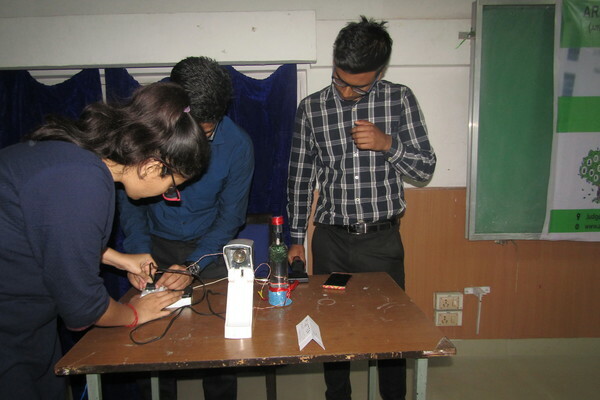 There were 5 teams which qualified the selection level and each teams consisted of three individuals For a week long, all the teams performed various marketing and promotional activities which best suited their product. 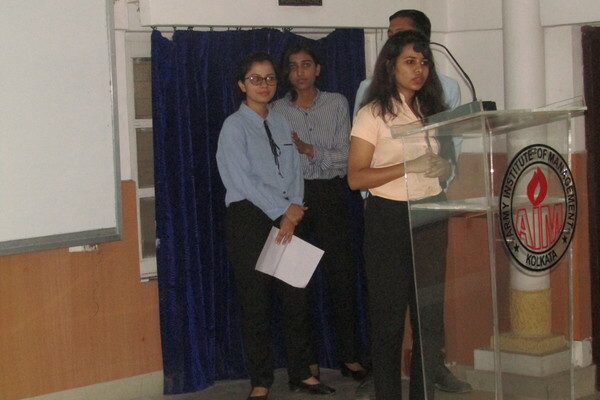 End of the week, all 5 teams presented their business idea, plan and income statement in front of the jury members. 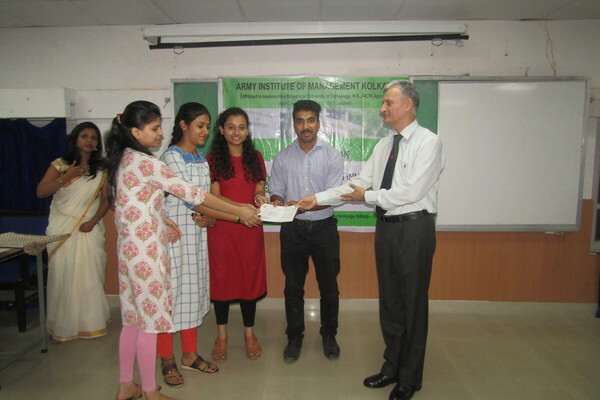 Top 3 teams out of 5 were selected as winner, 1st runner up and 2nd runner up. 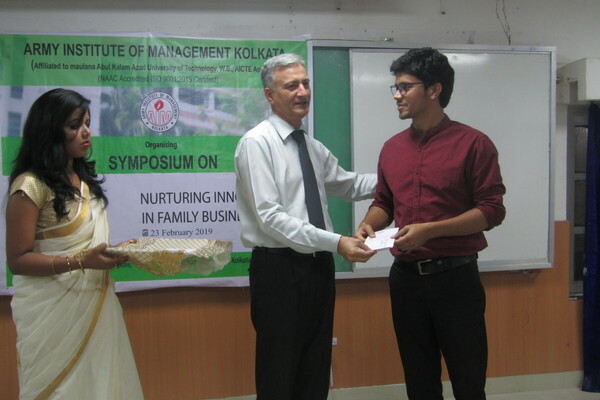 There was a tie between two teams for the 2nd runner up position. 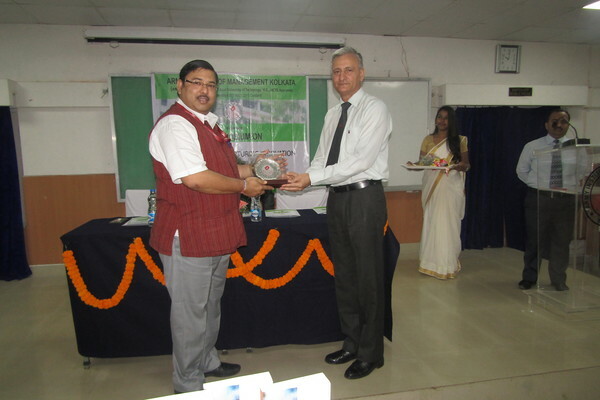 Overall it was an event full of learning and enjoyment which no doubt gave the students an experience for lifetime.